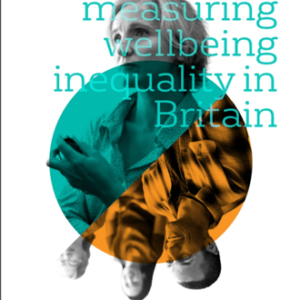 This research builds on our previous report Measuring wellbeing inequalities in Britain, diving into one aspect of wellbeing inequality – inequality in life satisfaction – to determine what drives it at alocal level. 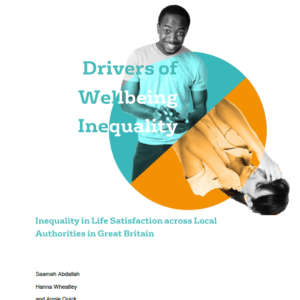 Our research question was: What is associated with inequality in life satisfaction in local authorities in Britain? 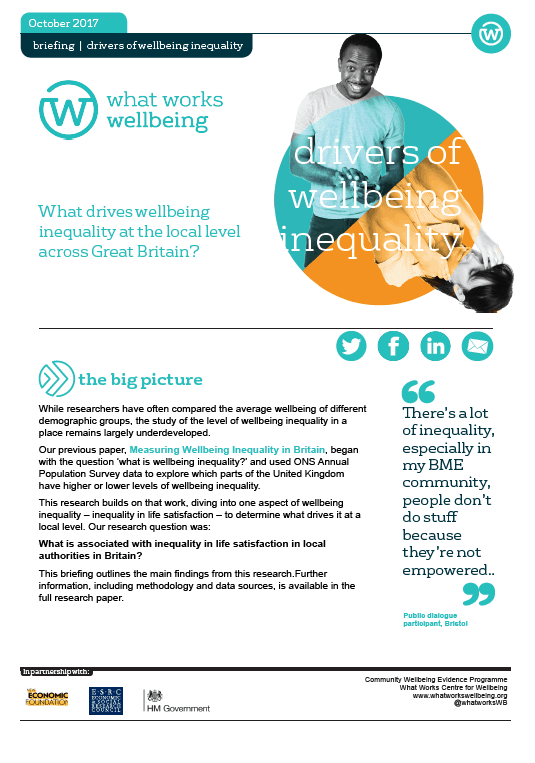 This briefing outlines the main findings from this research. 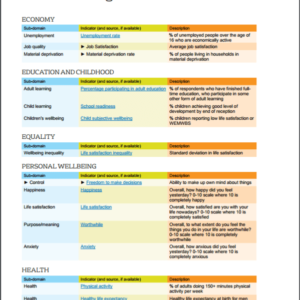 Further information, including methodology and data sources, is available in the full research paper. Sign up to receive resources and evidence as they are released. You have subscribed! You'll receive an email with options to customise your evidence alert. We don't share your info with any third parties.